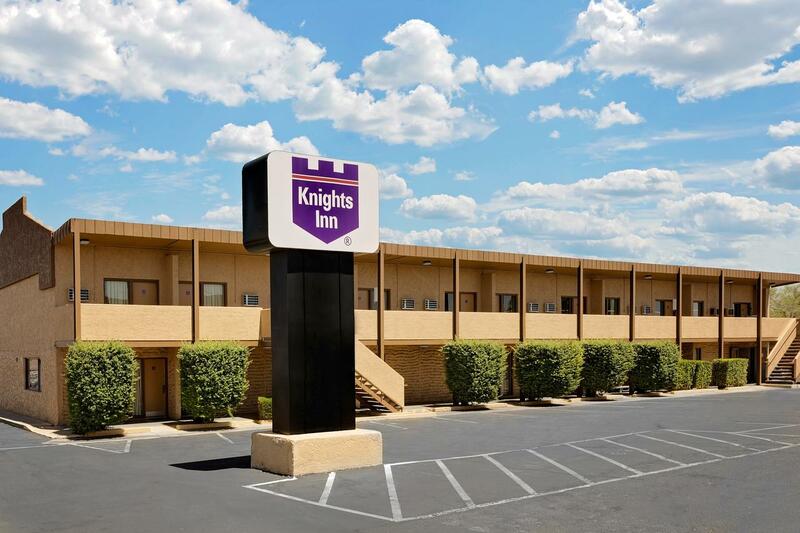 Find value and convenience at Knights Inn Gainesville hotel, near University of Florida. Located on Highway 441, our Gainesville, FL, hotel offers free continental breakfast and free Wi-Fi Internet access in select rooms. When the weather gets hot, cool off with a swim in our seasonal outdoor pool or hang out at our outdoor playground and picnic area, featuring barbecue grills. We offer free parking for your car, truck, bus or RV as well as guest laundry facilities for your convenience. Non-smoking and handicapped-accessible rooms are available, and kids 17 and under stay free with an adult at our pet-friendly hotel.